23 years, 0 month, 16 days old age. 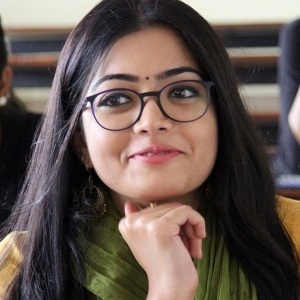 Rashmika Mandanna will turn 24 on 05 April, 2020. Only 11 months, 14 days, 8 hours, 10 minutes has left for her next birthday. Rashmika Mandanna has celebrated the total number of 23 birthdays till date. See the analysis by days count and bar graph. 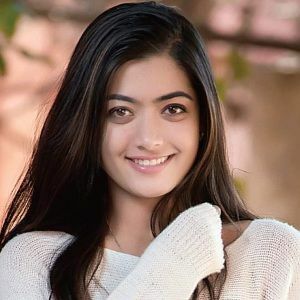 Rashmika Mandanna was born on 05-04-1996 in Virajpet, Kodagu in the state of Karnataka, India. She is an Indian Model & Film Actress who is well-known for her work in Kannada, Telugu, Tamil & Malayalam Cinema. Rashmika Mandanna did her school level education from the Coorg Public School in Karnataka. Thereafter, she attended the Mysore Institute of Commerce & Arts to complete her high school studies. She obtained her graduation degree from the famous M. S. Ramaiah College of Arts, Science & Commerce, Bangalore. She simultaneously started modeling as well in the year 2014. As a model, she decided to contest in the Clean & Clear Times Fresh Face of India in the year 2014; she eventually won the competition and rose to prominence. After this win, she won the second edition of La Mode Bangalore's Top Model Hunt in the year 2015. In her modeling career, she has associated with various assignments and in the year 2016, a big break came her way when she was made the face of The Wedding Journals of India. She made her acting debut in the year 2016 with the Kannada film called Kirik Party. She was cast opposite actor Rakshit Shetty in this comedy-drama film. Her role of Saanvi Joseph earned her a lot of critical praise. She was also nominated for the Best Debut Actress for her performance in the film. 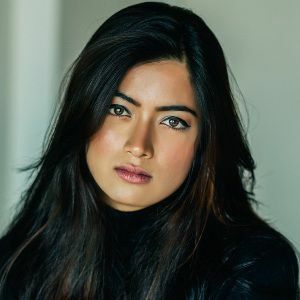 After a highly successful maiden film, Rashmika was signed in by director Harsha for his upcoming project named Anjani Putra. She is cast opposite actor Puneeth Rajkumar in this film. Rashmika Mandanna was born to Suman Mandanna and M.A Mandanna. She has a younger sister named Shiman Mandanna. 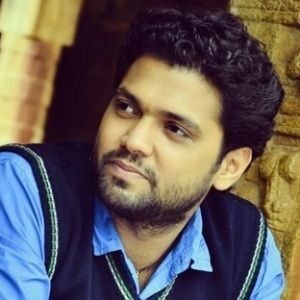 On 03-07-2017, she got engaged to Kannada film actor Rakshit Shetty but they mutually parted ways in Sep 2018. She rose to stardom after she won the clean & clear times face fresh in the year 2014. She was clear about it from an early age that she wants to become an actress. Her parents supported her throughput but made it clear that she should first complete her studies before joining the industry.